Tuesday, during a press conference on the sidelines of the 20th meeting of the Superior Council of the National Police (CSPN) of the current administration, the Prime Minister and Head of CSPN, Laurent Lamothe, Réginald Delva, the Secretary of State public safety and Godson Orélus, the Director General of the National Police of Haiti, in the presence of Jean Rodolphe Joazile the Minister of Defence have wished to clarify several aspects around the case Clifford Brandt. The Prime Minister declard “[…] We recorded a victory on the issue of kidnapping, a victory for the forces of good in a country where there is plenty of impunity in general […] I want to reaffirm to all, as you see in our action, that whatever the person who commits such an act, we will apply the law correctly on it, whatever the sector from where it comes from […] that person is the author or accomplice. It is important that everyone understands that this is a battle in which the population is obliged to work with the police institutions. The security question is a chain, we must avoid to have too many weak links in the chain […] the guarantee that I give to all is that we will move forward, there are individuals who are actively sought, the police made a dozen arrests and some police officers are questioned […] it is necessary that the population resume confidence in the police, because it is more than ever determined to fulfill its mission which is to protect and serve. […] Today [in the case of Clifford Brandt], I would not give names, because there is an ongoing investigation and we must not weaken it […] there are people who do not know they are wanted, so for the sake of the investigation, we will not give names […] at the timle I speak you there are 9 people who have been arrested in this case, 5 were brought, four are in custody at the Central Directorate of the Judicial Police, and four police officers are placed in isolation under administrative investigation. In addition, the Chief of Police, confirmed the information circulating to the effect of the presence of an FBI agent on Haitian territory. Some FBI agents arrived Monday in Port-au-Prince, collaborating with the investigators of DCPJ in the case Clifford Brandt. Godson Orélus has justified the presence of U.S. investigator due to possible ramification of this Haitian network, with criminal groups in the United States. 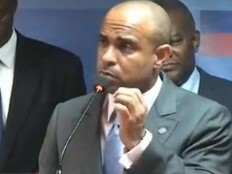 Laurent Lamothe concluded his speech by recalling “[…] As I said earlier I think it is time to stop the polarization and division with this issue, there is an element called Clifford Brandt, which has been identified and is now in prison […] accused of kidnapping of a member of another family on which we did our investigation and we continue to work to dismantle the network. Dimitri vorbes,reynold deeb nd stanley hndal. Part of the same gng s clifford brandt. Come brandt and many others were involved.? Maybe he did not or MAYBE He WAs IN THEIR PAYROL. Jean Joseph is right on target. Everyone is afraid to mention Handal and Vorbe because of the dangers. But that is exactly what we must try to combat. Stanley Handal escaped justice in 2005 because of cash and influence. The Vorbes are always at the center of things. Clifford Brandt is the fall guy in this game. There are others, more important than him, to be neutralized but I do not think that Martelly has the balls. And, of course, he has Kiko to worry about even though he is no longer allowed in the Palace since he spent over $500,000 to defeat Lamothe’s effort to be Prime Minister. It is not easy for the weak. They are letting Brandt take the fall for others. H is involved, but not the only criminal. 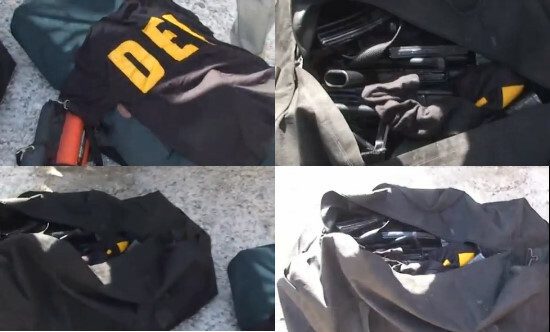 When they first released detail they said 2 Vorbes, Stanley Handal, a Larouge and a Lebrun were arrested. Now we here zero about these matters. Handal was named in 2005 and those with him went to prison. He escaped this and now has his illegal fortune invested with Best Western Hotels in Petionville. Does not pay to be honest.